Cinemadope: Is Hellboy actually a Western? Cinemadope: Is Hellboy actually a Western? Cinemadope: Is Hellboy actually a Western? Home » Articles » Cinemadope: Is Hellboy actually a Western? 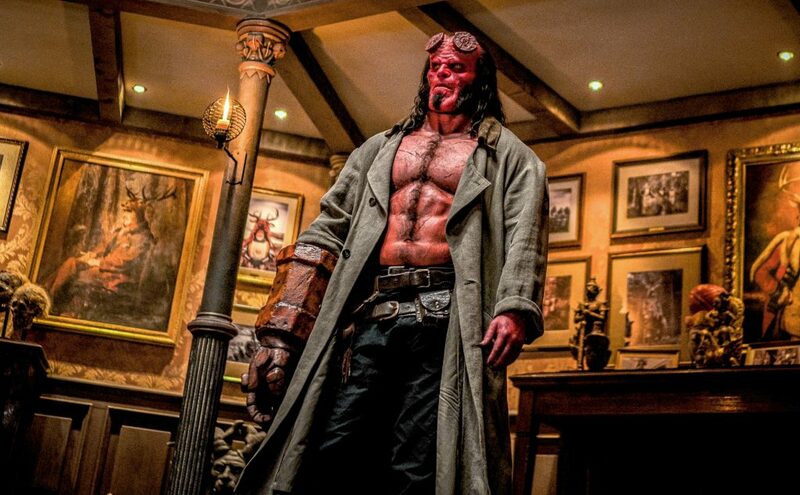 David Harbour stars as Hellboy in HELLBOY. Photo Credit: Mark Rogers. The tropes of the American Western have had a surprisingly wide influence. Its heady mix of self-sufficiency and violence, often presented as a necessary but natural manifestation of a hero’s morality, has spread like seeping blood into nearly every kind of popular modern storytelling. Even sci-fi stalwart Star Trek was initially pitched to network executives as “Wagon Train to the stars.” The bones of the western are just that: a skeleton, ready to be fleshed out with any number of new looks. This week offers Valley filmgoers a chance to catch three films that chart part of the western’s history in American cinema. Along the way they touch on musical theater, kung-fu, and sci-fi movies. Catch all three and see the breadth of this tradition. 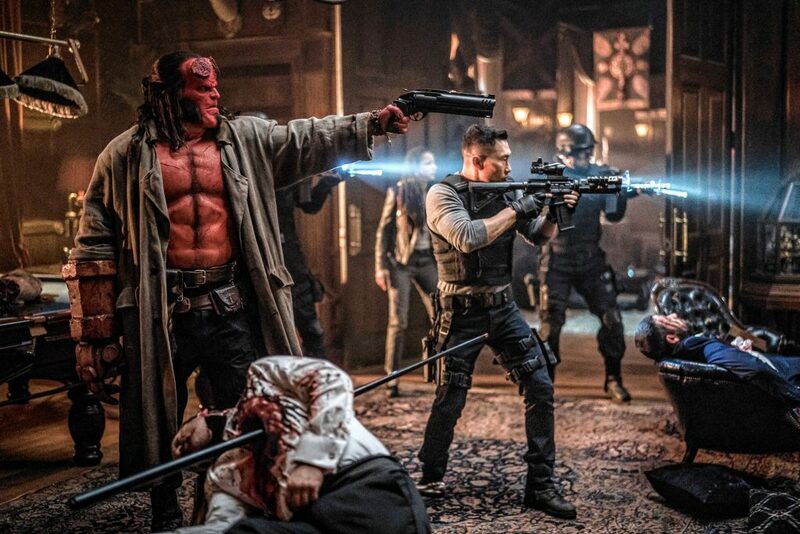 The newest film in the bunch is also the one that has arguably moved the farthest from Western tropes: the Neil Marshall (The Descent) reboot of Hellboy. A sci-fi fantasy that features a half-demon hero who fights the supernatural in defense of his adopted human world, it is brimming with giants, ancient sorceresses, and shape-shifters (Stranger Things’ David Harbour stars as the titular boy). But it also borrows imagery straight out of a shoot-em-up matinee, with Hellboy’s long duster and pistol making him into a gunslinger growing tired of the game, even if this particular sheriff has a giant stone forearm and brick red skin. Perhaps not coincidentally, his father figure in the new film is played by Ian McShane, who is perhaps best known of late for his work on the R-rated western series Deadwood. If you’re after a more traditional Western, you won’t want to miss The Searchers, which screens at Amherst Cinema as part of the theater’s Print the Legend film series. The 1956 film, directed by John Ford and starring John Wayne as a Civil War veteran who has dedicated his life to searching for his abducted niece, has become one of cinema’s most influential films — even if you’ve never seen it, you will recognize some of its most iconic shots, which have been echoed in countless films across many genres (Tarantino fans will experience some deep déjà vu). In particular, look for the famous “Doorway Shot,” in which Ethan (Wayne) is framed by a cabin entrance as he contemplates the end of his long journey. As with so much of American history, the story of The Searchers is a tangled one. Based on actual events — a young woman was indeed abducted by Comanche raiders — the truth of the story is not carried over to the film. That narrative evasion (and, more widely, the depiction of the Native Americans in the film) makes The Searchers more complicated for modern viewers; lecturer Nina Kleinberg will be on hand at the screening to introduce the film and lead a Q&A about its cultural and cinematic legacy. Perhaps the oddest of the week’s three films is the one coming to Pothole Pictures in Shelburne Falls over the weekend. Director Joshua Logan’s 1969 Paint Your Wagon is definitely an outlier: a musical/Western hybrid that has become a cult favorite of fans from both genres. With music from Lerner and Loewe (My Fair Lady), stars Lee Marvin and Clint Eastwood sing their way through a story about a gold rush boom town that is beginning to collapse under the weight of its own hedonism. Adding to the musical feel are live performances on stage in the half hour before showtime; Friday will feature the Northfield Mount Hermon Chamber Orchestra doing Celtic tunes and string quartets, while Saturday’s show will bring the blues of James Smith.